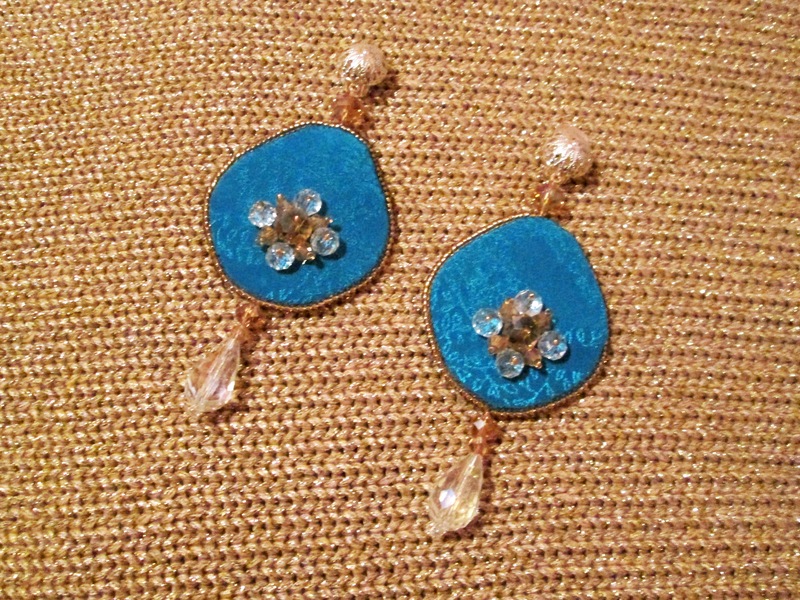 Earrings embroidered in couture style. Beautiful blue with nice golden shadows. This jewelry belongs to Artistic Couturier Collection. All content on Şic şi Clasic blog is protected by copyright. Any items published here, such as images, texts, animations and graphics may not be disseminated, copied, made available to third parties, saved, used or altered without prior consent. The design belongs to “Şic şi Clasic” by © Adelina Mărieş and cannot be copied.